AMY is the controversial new documentary about the hyper-talented North London jazz and soul singer Amy Winehouse, who died at the age of 27 in 2010 from complications due to long-term bulimia, drug and alcohol abuse. The director, Asif Kapadia, opens the story with Amy as a 16 year old goofing around with her close friends on video, clearly talented, and quickly signed up by manager Nick Shyamsky. She's evidently steeped in the jazz tradition and wants to make great music rather than achieve a fame that she knows she'll find hard to handle. She's soon signed to Island Records, brings out her debut album "Frank" and uses the money to first move into a small flat and then into her house in Camden. The freedom allows her pot smoking to morph into heavier drug use, and she's still bulimic but she's still not on crack cocaine or heroine when her manager and friend, Nick, tries to intervene. This is the first of two pivotal moments in the documentary - the moment where maybe early intervention might have led to the start of recovery because the paparazzi glare, and Blake Fielder-Civil, hadn't yet appeared. But Amy wants her dad, Mitch, to make a decision, and he says she doesn't have to go, much to Nick's horror, and echoed in the lyrics of "Rehab". This feels like an early chance foregone, and sets us up to explore Amy's trauma at her father leaving her mother when Amy was 9, and being an absent figure who's approval she still craved. We then move into the truly dark times. After "Back to Black" the money rolls in but so do the paparazzi and the enablers. Amy falls wildly in love with Blake, an addict, and they enable each others addictions. She starts taking crack and heroine - her house becomes a kind of squat - the third album is nowhere in sight. Eventually, Blake is put in prison, and escaping to St Lucia seems to steady Amy - she's still bulimic and drinking, but at least the hard drugs have gone. She calls out her dad, now a more frequent presence in her life, but he turns up with a reality TV crew, invading her life after she tried to run away. Finally, after a period of sobriety in the run up to the Grammys, we reach our final moment of crisis and the second pivotal moment of the documentary. Amy's manager and father set up an extensive European tour that Amy just doesn't want to go on and she self-sabotages, culminating in that infamous footage of the concert in Belgrade where she simply refuses to sing. There's a crucial moment where in advance of that she goes on a binge so the tour will be cancelled. Her father and manager don't check her into rehab but into a flash hotel filled with the press. The tour goes ahead. Soon, she's dead. Director Asif Kapadia has made a remarkably even-handed documentary and has resisted laying blame on any one person. Mitch Winehouse is not portrayed as a villain in the way that Alain Prost was in SENNA. But there are clearly a number of disturbing things going on here. Amy was evidently deeply traumatised by the breakdown of her parents' marriage and her bulimia, pot-smoking and depression started way before she reached any kind of fame. Her parents seeming inability to recognise this, or if acknowledged, the to deal with it and lay down clear boundaries, is more tragic than blameworthy. Once the money starts rolling in, there are clear imperatives that contradict Amy's health. You get the impression that her close business circle, which Mitch becomes a part of, need her on the road. But to be honest, I felt the documentary was leaving us to draw our own conclusions (good) but also perhaps pulling its punches. What I love about AMY is that by unearthing and using lots of informal video footage of Amy, she becomes a visceral and vital presence. Her talent, wit, and vulnerability shine through. In a sense she is the most vital thing about this documentary and that's a rare achievement. I really came out of it feeling that I understood her struggles better and sympathised with them more. Two criticisms. First, the director chooses not to tell us why Amy was so steeped in jazz - that her extended family were jazz musicians and that she was actually in a number of stage schools. Rather he leaves us with the impression that she is something of a one-off random prodigy sprouted in North London. A stage school girl clearly had more awareness and drive for the fame the interviews played in the film make out she was rejecting. Second, the movie ends when Amy dies, and that's also probably right, but by not showing us how Mitch Winehouse has created a career as a crooner on the back of his daughter's fame, it definitely paints him in a better light. AMY is rated R and has a running time of 128 minutes. 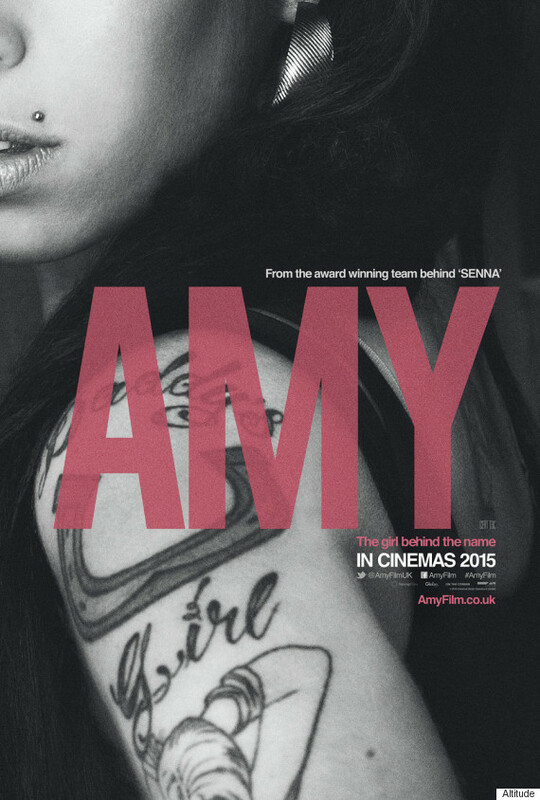 AMY played Cannes 2015, and is currently on release in the Netherlands. It will be released on July 3rd in the UK, Ireland and USA; on July 8th in France; on July 9th in Greece and Hungary; on July 10th in Finland; on July 16th in Germany; and on July 17th in Sweden.